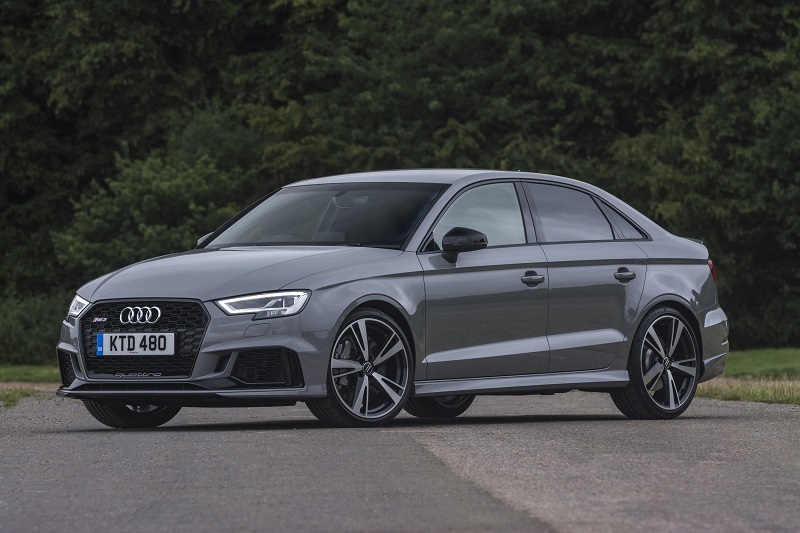 The new Audi RS3 will be landing in the UK very soon as both the Sportback and the Saloon versions are now available to order. 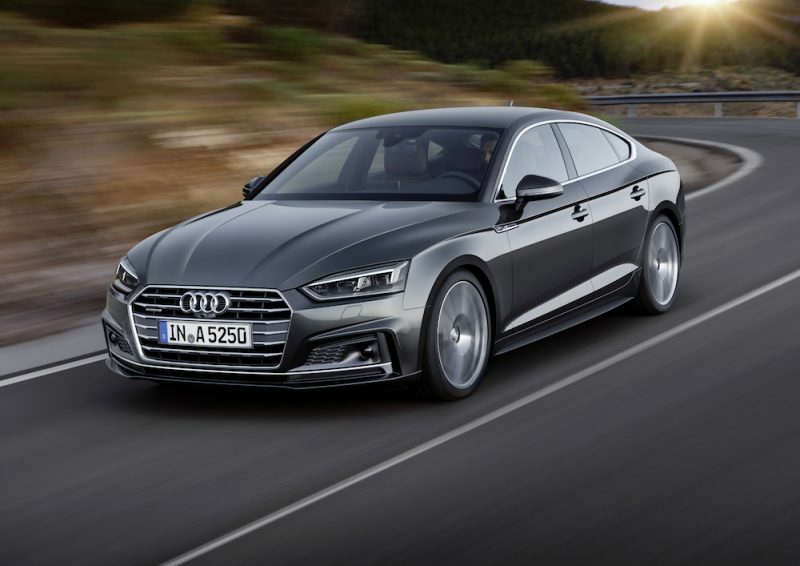 The familiar Sportback model will be priced from £44,300 whereas the all-new saloon model will be priced from £45,250, with deliveries commencing in September. 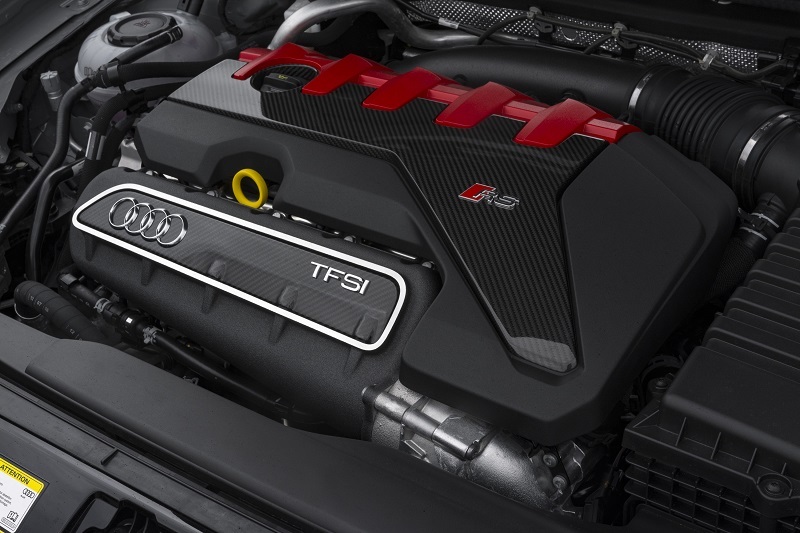 The Sportback and the Saloon may be different shapes – and prices for that matter – but they both share the same 2.5 litre 5 cylinder turbo petrol unit that features in the new TT RS. 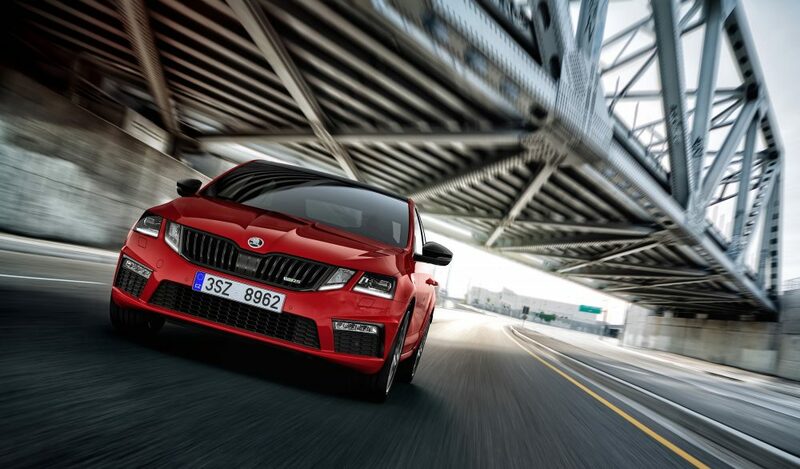 This means you’ll have nigh-on 400bhp to enjoy as well as 480Nm of torque. 0-62 comes in a mind-boggling 4.1 seconds with a limited top speed of 155mph. This can however be increased to 176mph, but as with a lot of things from Audi, you will have to pay a premium for it. What you won’t have to pay extra for though is the the quattro all-wheel drive system and the 7-speed S Tronic gearbox, which helps to contain the German fury in that engine bay. This huge amount of power makes both cars very desirable, especially as you’re getting the same power as a TT RS, but with more practicality – and at a cheaper price. Plus you won’t have people claiming that you’re going around town in a ‘hairdresser’s car’ – oh how foolish some people can be. Whether you choose the Sportback or the all-new Saloon, the RS3 is certainly an attractive prospect. 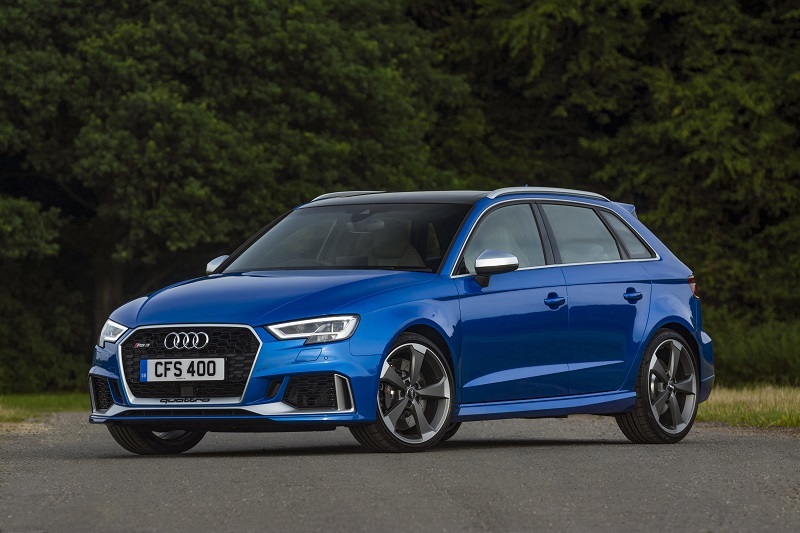 As well as offering a lot of brute force, Audi Sport has made sure the RS3 will be more than capable when it meets a corner. 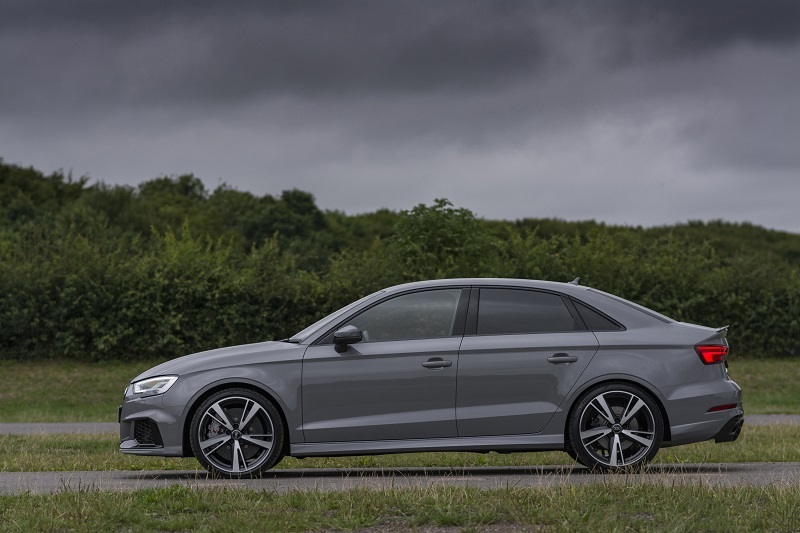 As well as the quattro all wheel drive system, the RS3 sits on lowered suspension, 19″ alloys and a wider track compared to the standard A3. 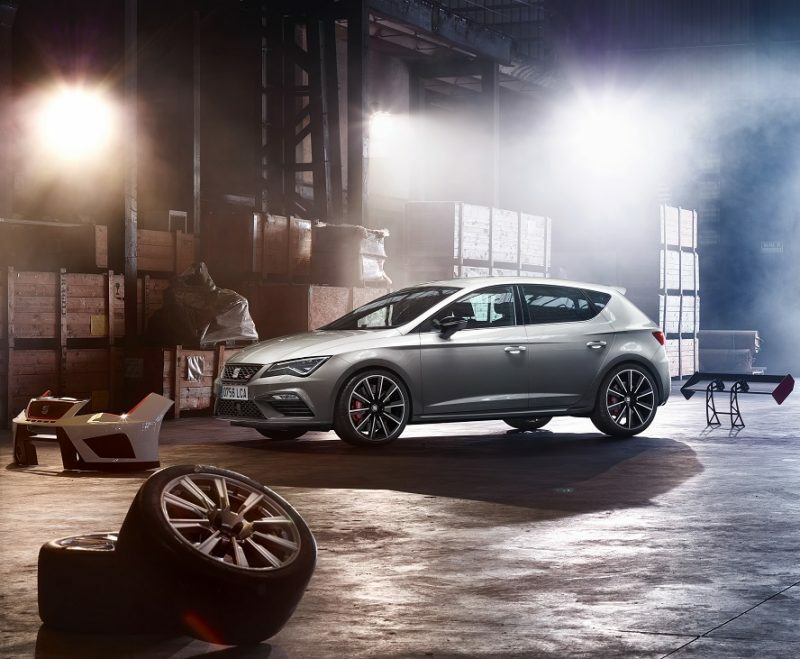 If that isn’t quite enough for you, there are optional extras in the form of RS Sport suspension with Magnetic Ride, and ceramic brakes for better stopping power. Thankfully the driving modes are included, as is the visually stunning Virtual Cockpit. 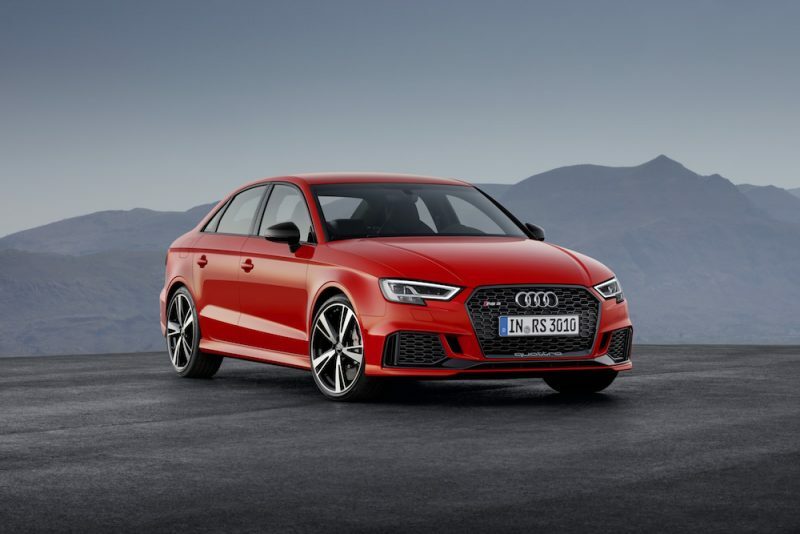 As well as the aforementioned Virtual Cockpit, RS3 buyers can expect your usual mix of creature comforts plus smartphone connectivity, navigation, Audi Connect and a 7″ colour touchscreen. 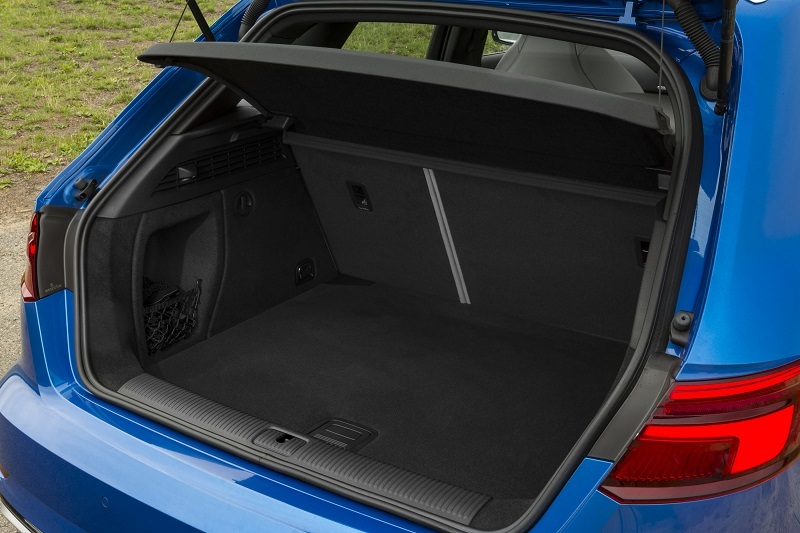 With it being Audi, there are of course a plethora of optional extras that can be added if you’re feeling flush. Some of which include wireless phone charging and a Bang & Olufsen with 705 watts and no less than 14 speakers. 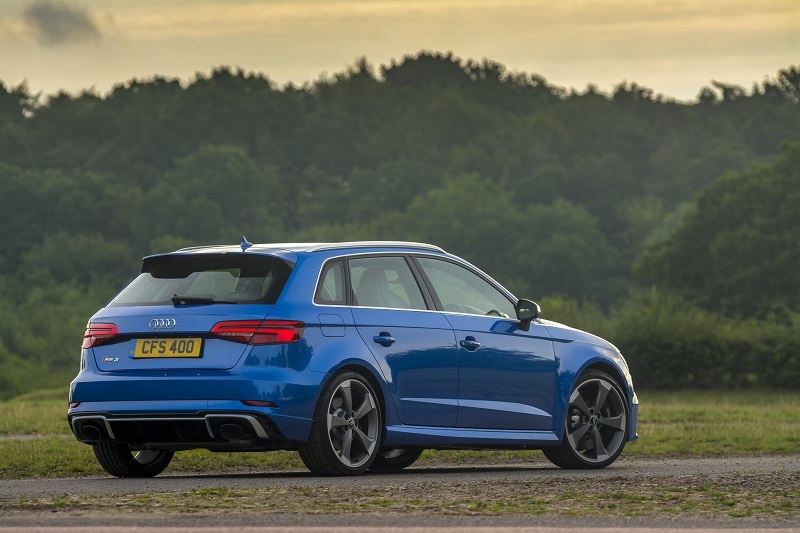 The new Audi RS3 is available to order now, with prices starting from £44,300. 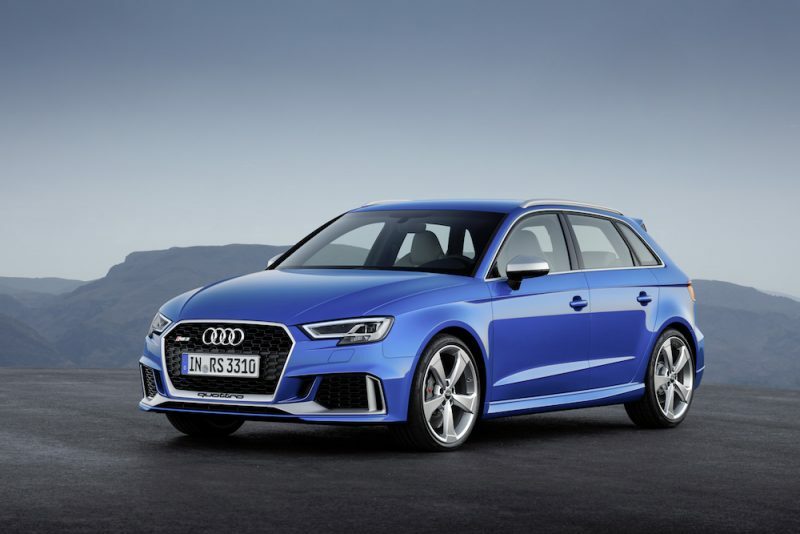 Which will it be though – Sportback or Saloon? I’ll have the Sportback thanks.